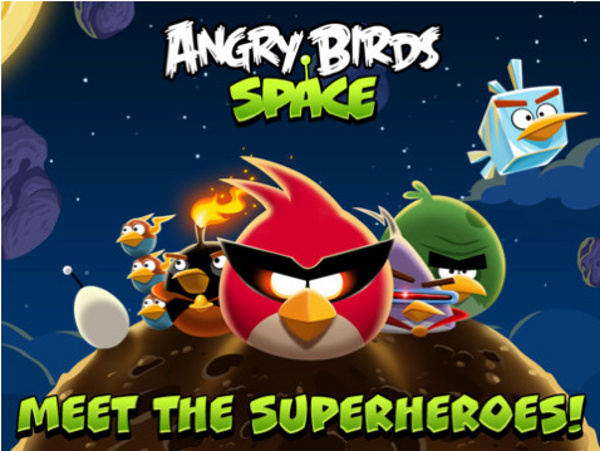 Angry Birds Space from Rovio Entertainment is now available for iPhone, iPad, iPod touch and Android devices, PC & Mac. Angry Birds Space is available for $0.99 from the App Store on iPhone and iPod touch, and Angry Birds Space HD is available for $2.99 from the App Store on iPad. Angry Birds Space for the Mac is available for $4.99 from the Mac App Store while Angry Birds Space for PC is available for $5.95 from the Angry Birds Shop.